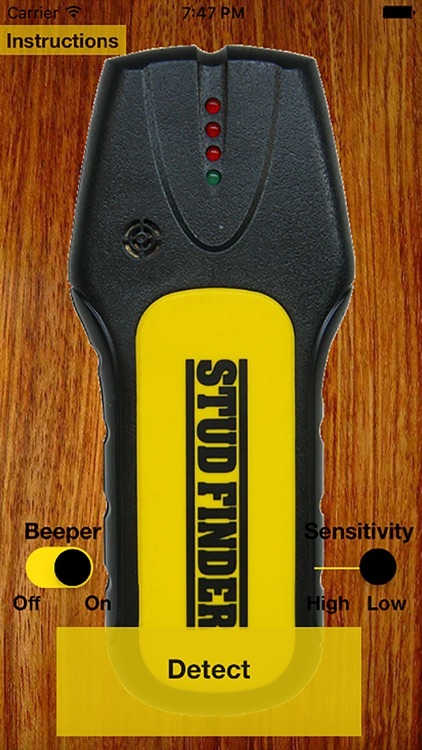 Studfinder helps you quickly find studs hidden in walls beneath drywall and plasterboard! Need to quickly detect wood studs hidden under drywall, plasterboard, or stucco in order to safely and securely hang a picture, shelf, TV or other wall fixture? 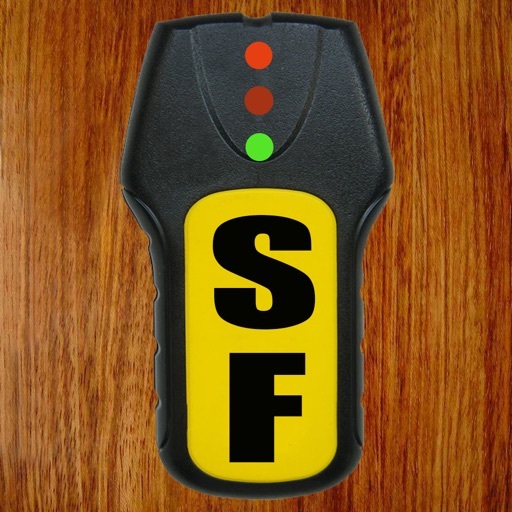 No need to buy an expensive stud detector tool when you can simply use your phone! 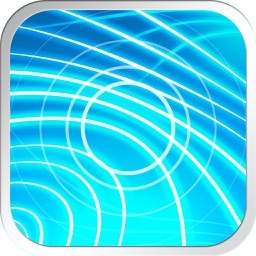 Studfinder uses your device's magnetometer (i.e. 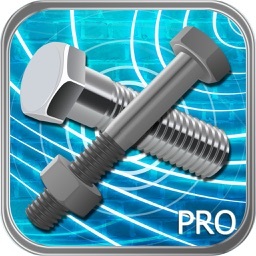 compass) to precisely target wall studs by pinpointing metal joists, nails, screws, or other metal fasteners located directly on the studs within every wall. 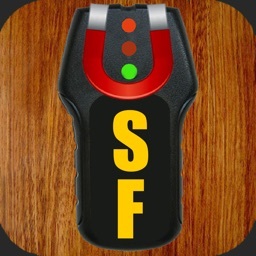 After two years of steadily improving our stud finder app, based on user feedback, we have completely redesigned how our app works to make it the most accurate, responsive, and easy to use stud finder tool on the market. 1. Hold down the 'Detect' button. 2. Hold device at steady orientation until the green LED lights up. The green LED indicates a stable background magnetic field. 3. Find the precise location of your device's magnetometer by moving a coin or other conductive metal object around back of device until the red LEDs light up in sequence. 4. 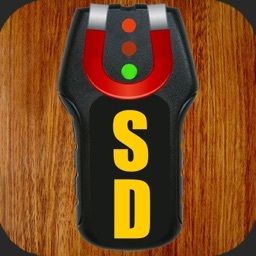 Hold device steady against wall, or approximately a finger's width away from wall, while holding down 'Detect' until the green LED lights up. 5. Then systematically scan desired wall space by moving device along wall until red LEDs light up in sequence. 6. When all the red LEDs light up in sequence and beeper sounds, there is a stud directly under your device's magnetometer. 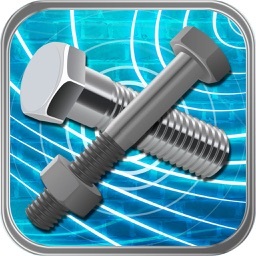 ->INCREASE sensitivity until all red LEDs light up when atop a nail/screw (e.g. thick drywall).